The disabled are always an easy target. They are defenseless and are often preyed on by bullies. Why can we not harness technology rather to improve their lives? As NGOs or NPCs, we battle to make every cent that we bring in, we have to humble ourselves and ask people to help us. We have come up with business models that bring in income allowing our resident disabled to earn money every month that helps subsidise their state grants. This gives them a sense of purpose and dignity that they are part of our society. This also demonstrates that we are serious about business and our entrepreneurial skills have been honed. There are technologies out there that could assist many of our autistic clients, but we do not have the funding to acquire this technology. Whilst the state does its best to assist organisations as they themselves don’t have the infrastructure and expertise to manage specialised care and skills development facilities like ours – our role in civil society therefore is imperative. Our entrepreneurial skills will be tested and the funders and supporters we have will hopefully continue to support us and see the incredible value that our business units offer in the market place. adaptation of (for example) work arrangements and the implementation of flexibility within the workplace to accommodate persons with disABILITIES. But if I could implore the business sector who themselves are under pressure to perform and reach profit targets – don’t forget that you are human and part of our society and what you put out will be what you get back – it’s not just about the photograph and caption of you handing over a gift to a disabled person that matters – it’s about being part of your community and really caring and partnering with us to become stronger and more relevant in the marketplace. 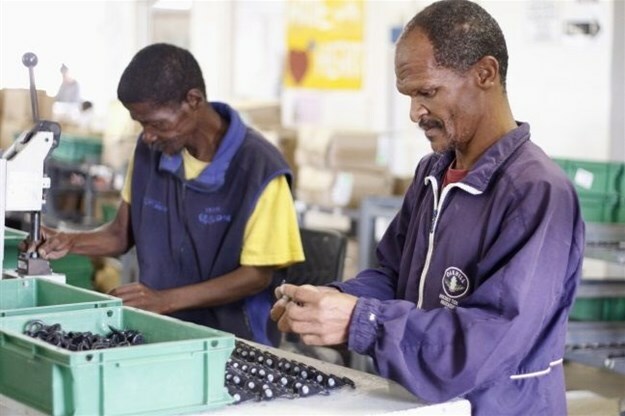 The disabled are a wonderful and skilled workforce who are ready and able to work and will grab the opportunity to be part of the formal employment sector – you just have to seek out the partnership opportunities that we do offer the business sector. Hannl Cronje is the CEO of Orion Organisation NPC based in Atlantis, Western Cape. Orion Organisation NPC creates futures for those with physical, intellectual and psycho-social disabilities through the provision of professional and development services.